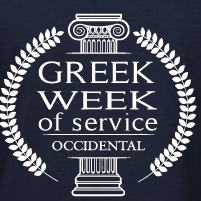 A volunteer event apart of the Greek Week of Service. "The Kick Off Ceremony is the official start to the Marathon Kids 26.2 Mile Challenge. All children in the Marathon Kids program, as well as their teachers, families, friends and neighbors are encouraged to attend and celebrate as thousands of “Marathon Kids” begin their journey to a healthier, happier life with a lap around the track! Log in to see who is volunteering for Volunteering for 'Kids Marathon'!